Our homepage got a makeover! Have you noticed our new homepage yet? We’ve made a few adjustments we think you’ll like. So, what’s new, you ask? A more detailed tour shows you exactly how ruzuku looks and works. We know you’re curious to learn as much about ruzuku as possible. 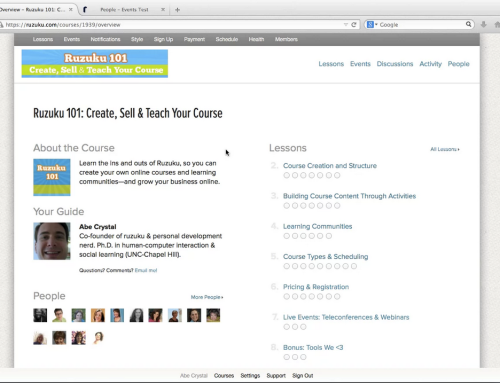 Our new tour has 22 screenshots that show you exactly how ruzuku works and how it can help you build your own online course and learning community. Ruzuku 101 is On Demand. We created our “Ruzuku 101” course to help introduce you to the basics of creating your very own online course or learning community. “Ruzuku 101” is now available on demand – that means you can start it at any time! Try out all of the features we have to offer and see what you can do with ruzuku! 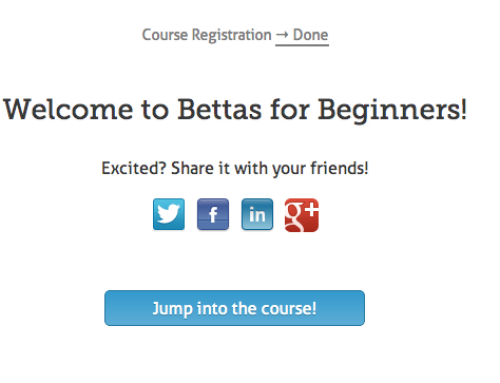 When you sign up for the course, you’ll automatically get a free 14-day trial of ruzuku, so you can try out our course creation tools for yourself. We hope these improvements help you learn more about ruzuku and how to make ruzuku work best for you!